Hide deals from seller "Brianne Michelle Corral Photography"
Limit 1 per person and per family. Valid on a 30-minute in-studio photo shoot with up to 4 backgrounds and 1 wardrobe change. Includes an 11x14 print, 4 wallets and a low-resolution CD. By appointment only; must mention voucher when scheduling. Cancellations require 24-hour notice. New clients only. Promotional value expires 30 days after purchase. 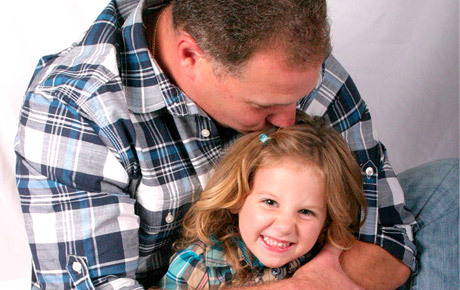 Give your dad memories that will last a lifetime with this deal for 65% off a professional photo shoot from Brianne Michelle Corral Photography in Schererville ($143 value). Let Dad show off his good side, or bring the whole family in for a 30-minute in-studio photo session. With four years of professional experience as a photographer and ample education in the field, Brianne is able to create astounding and beautiful images. She has a large selection of props and backdrops to choose from, allowing you to personalize your photos in cute and creative ways. Brianne’s experience with Photoshop gives her the ability to enhance and modify photos for stunning effects. Make Father’s Day memorable with this deal. Photography studio in Schererville offering a variety of photography packages.